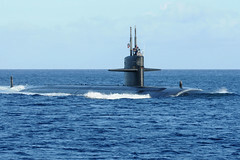 The competition evaluates and tests Japan Maritime Self-Defense Force crews on their ability to conduct various aspects of anti-submarine warfare. 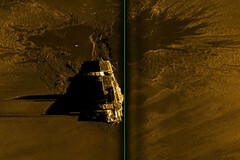 The aircraft carrier was best known for launching the important Doolittle Raid in April of 1942 and its role in winning the Battle of Midway. 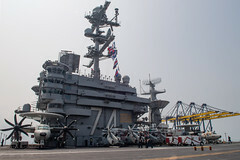 The aircraft carrier arrived in Laem Chabang, Feb. 10, for a brief port call that highlights the strong community and military connections between Thailand and the United States. 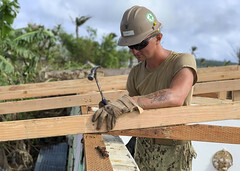 Seabees from NMCB 1 and NMCB 3 helped repair 184 roofs, among other suport in the wake of Super Typhoon Yutu. 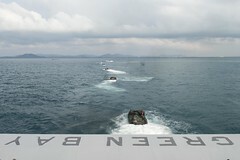 The ship and embarked Marines of the 31st Marine Expeditionary Unit (MEU) arrived in Sattahip, Feb. 7. 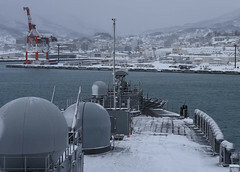 The USS Blue Ridge (LCC 19) crew and embarked 7th Fleet staff arrived for their first port visit to Otaru in nearly five years, Feb 8. 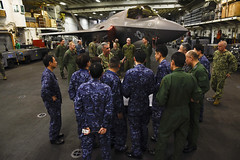 The commanders of U.S. 7th Fleet and Japan's Self-Defense Fleet visited to observe amphibious operations at sea. 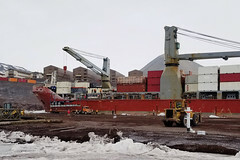 MV Ocean Giant arrived at McMurdo Station carrying nearly 7 million pounds of supplies in support of the U.S. Antarctic Program. 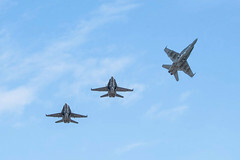 Strike Fighter Squadron (VFA) 34, which last deployed aboard USS Carl Vinson (CVN 70), hosted a sundown ceremony and fly-over for the legacy F/A-18C Hornet aircraft, Feb. 1. 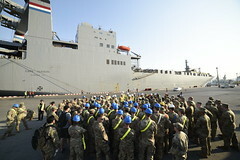 The voyage charter is part of a mobility operation for U.S. Army Pacific called Pacific Pathways 19-1.